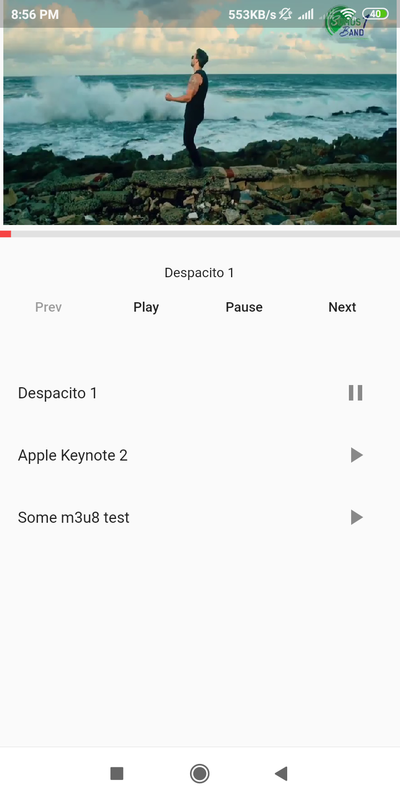 This media player uses an google Exoplayer in android to play the media files. 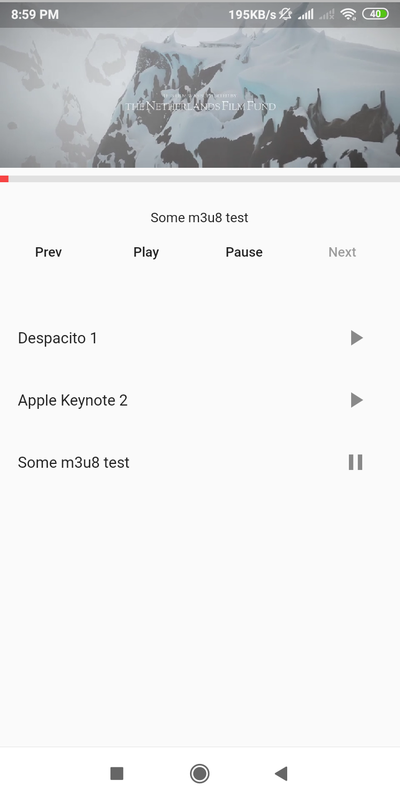 Note: the media player is inspired and developer by google plugin video_player and uses most code of it and has extra features. 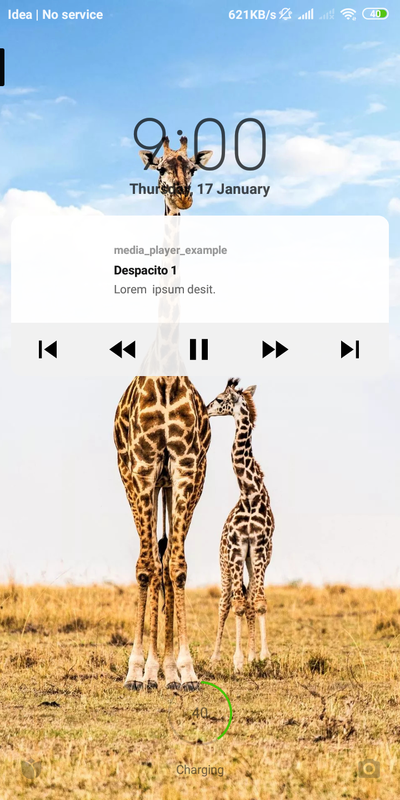 can be used to create background player(mostly used for audio playing). Add the permission for foreground service in same AndroidManifest.xml . 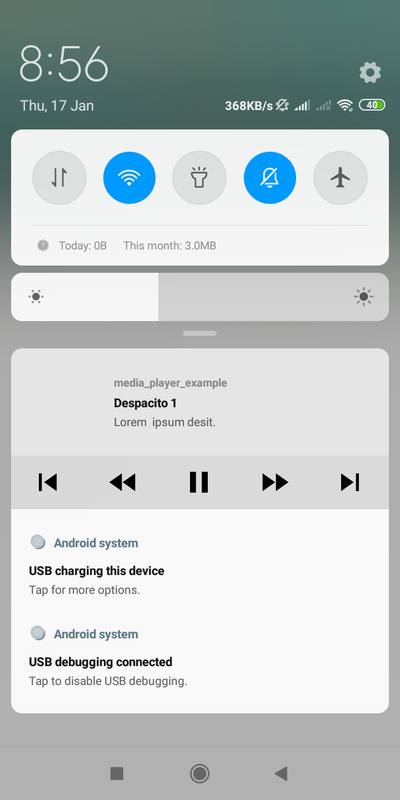 // first argument for isBackground next for showNotification.